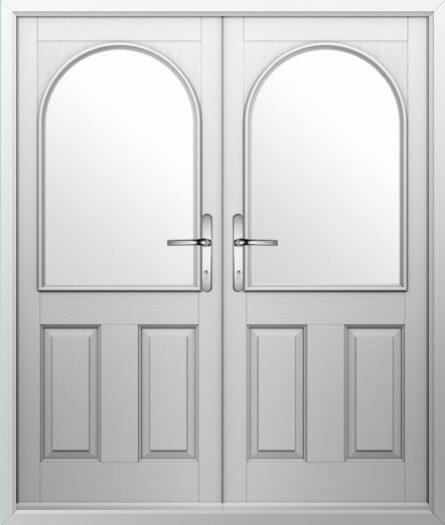 With two large, arched windows, these double composite doors are sure to brighten up your home, allowing plenty of light to flood indoors. But that’s not to say they compromise on energy efficiency or security, far from it! Ideal for updating a traditional property in a way that will complement the existing styling, these exterior composite French doors are sturdy, durable, and practical.